The New Markets Tax Credit has helped hundreds of small farming towns and rural communities access the capital they need for business expansions, healthcare centers, broadband expansions, and other locally prioritized-revitalization projects. The Rural Jobs Zones Act would build on the success of the NMTC, providing additional resources to some of America's hardest hit rural areas. 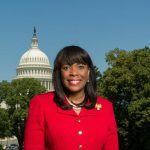 On July 26, 2018, two members of the Ways and Means Committee, Congressman Jason Smith (R-MO) and Terri Sewell (D-AL), introduced the Rural Jobs Zone Act of 2018 (H.R. 6627). 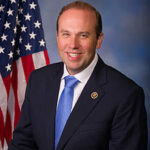 The legislation would authorize an additional $500 million NMTC allocation in both 2018 and 2019 targeted to certain rural areas with a priority to persistent poverty counties and high migration rural counties. Under the legislation, $1 billion in additional NMTC allocation (spread over 2018 and 2019) would be targeted exclusively to Rural Jobs Zones, which are NMTC-eligible census tracts in rural communities eligible for the USDA B&I Program. Of the $1 billion in new allocation, at least 25 percent would be prioritized to persistent poverty counties and high migration rural counties. What are Rural Jobs Zones? The Rural Jobs Zones are distressed communities targeted by the Rural Jobs Zone Act. They include NMTC-eligible census tracts (tracts with poverty rates of at least 20 percent or median incomes at or below 80 percent of the area median) within rural areas using the USDA's B&I program definition. Note: The rural definition in the Rural Jobs Zones Act would not change the underlying rural definition in the NMTC statute, which would still require the CDFI Fund to target a proportional share of the $3.5 billion in authorized NMTC allocation to non-metropolitan counties. Persistent poverty counties are defined as any county with a poverty rate of 20 percent or more in the 1990 and 2000 census along with the most recent Small Area Income and Poverty Estimates from the American Community Survey. High migration rural counties are any county which, during the 20-year period ending with the year in which the most recent census was conducted, has a net out-migration of inhabitants from the county of at least 10 percent of the population of the county at the beginning of such period. Again, under Rural Jobs Zones Act, 25 percent of allocation would be targeted to persistent poverty counties and high migration rural counties (mapped below).